Thread: A new giveaway from Kronozio! 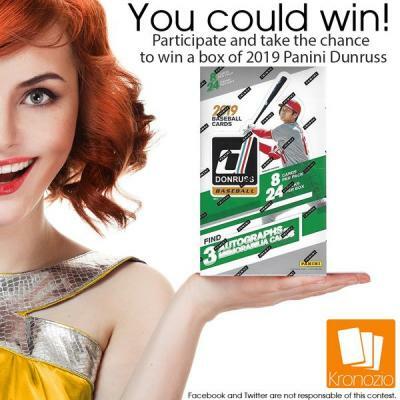 WIN A 2019 PANINI DONRUSS BASEBALL HOBBY BOX! We are happy to let you know that we are having an awesome giveaway. One lucky winner will receive a 2019 Panini Donruss baseball hobby box! There are 14 ways to participate. The more you participate, the more chances to win. One winner will be randomly picked and informed via email. Click below to enter and see details. The contest ends on April 30th at11:59pm(EST). The contest is open internationally. As always, please contact us with any questions about the giveaway. We are here to help.